There are so many adorable tiny towns dotting the landscape of Oregon — from the coast to the mountains, and everywhere in between. With less foot traffic, charming downtowns, and renowned attractions, these tiny towns in Oregon are worth visiting. Whether you’re planning a road trip through Oregon or simply looking for a quick day or weekend trip, consider these 15 hidden gems! 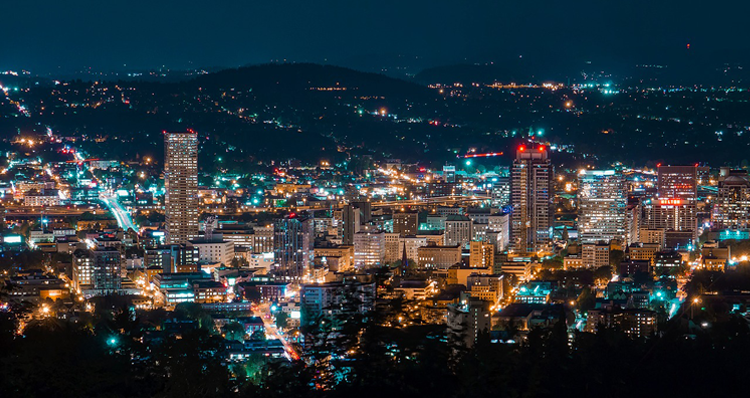 Nestled in the Rogue Valley just north of the California border lies Ashland, a quaint town with plenty to do and see. 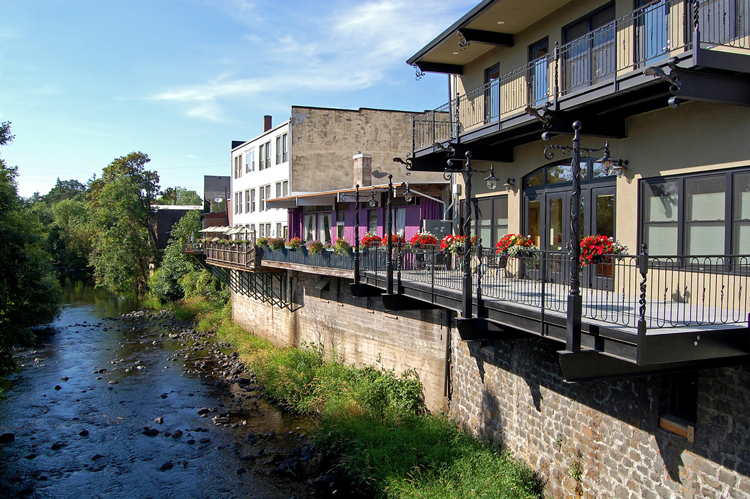 The town is known for its renowned collection of art galleries dotting the charming downtown area, which is filled with historic buildings hosting eateries, shops and other local businesses. 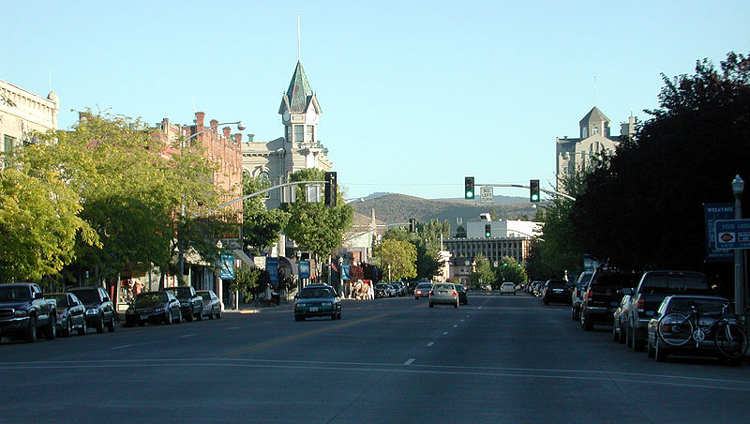 Ashland is known throughout the world as the home of the Oregon Shakespeare Festival, a theater company producing a number of plays throughout the year. 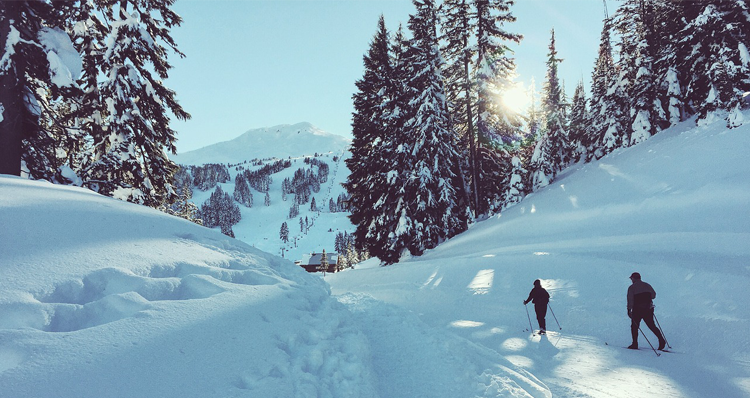 Experience the natural beauty of the area with a hike atop Mount Ashland nearby then retreat to any of the cozy cafes in town to warm your toes after an adventurous day exploring Ashland. This list would be incomplete without mention of Cannon Beach, a tiny coastal town attracting visitors from all over the country, particularly during the summer. Its main downtown street features adorable wooden architecture and a myriad of shops, wine tasting bars, restaurants, and ice cream and candy shops, including the infamous Bruce’s Candy Kitchen. 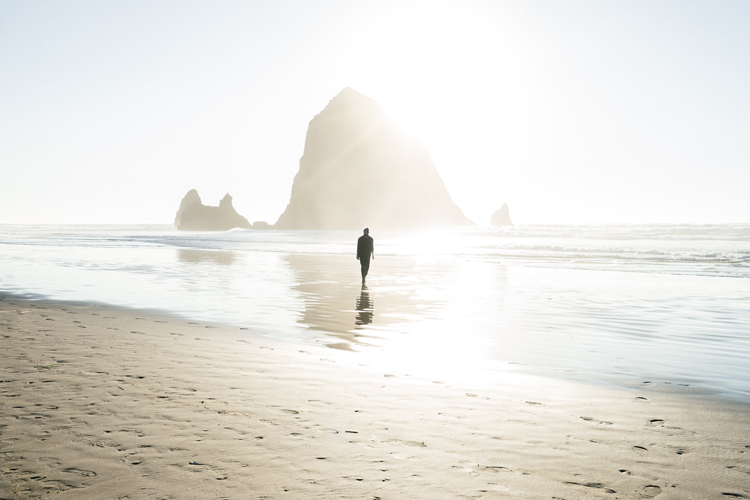 Just steps from the activity in downtown, you can explore the peaceful beach, where you’ll enjoy views of the iconic Haystack Rock. Little ones can splash around in the slow-paced Ecola Creek connected to the ocean. Experience the many activities on the beach while enjoying proximity to restaurants, shops and other downtown attractions in Cannon Beach! 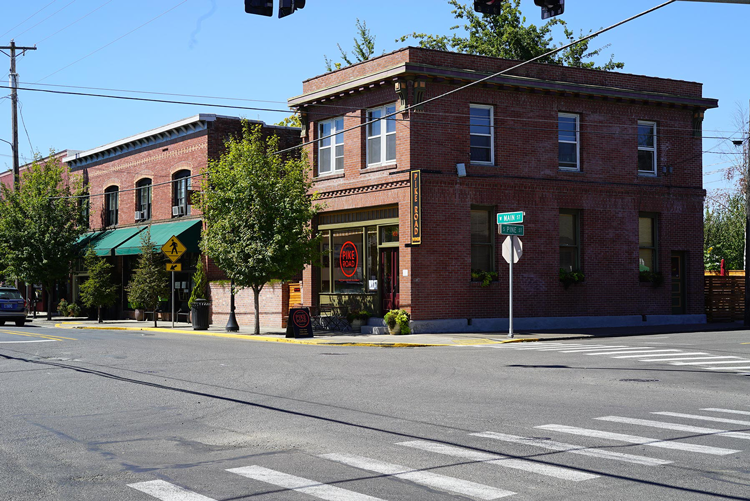 A visit to Pendleton provides a refreshing change of scenery for those of us living on the western side of the Cascades. This adorable town is situated amongst golden hills in eastern Oregon, and its downtown hosts a myriad of historic brick buildings. You may recognize Pendleton’s name because of Pendleton Woolen Mills, a famous textile company based in town. You may even tour the facilities of Pendleton Woolen Mills, to see how their blankets, clothing, and other accessories are made. If you are planning a late-summer trip, don’t miss the Pendleton Round-Up rodeo, which attracts large crowds from all over during the second full week of September. Situated just east of Salem, Silverton is a small town known for its spectacular natural beauty. The crown jewel of Silverton is Silver Falls State Park, featuring the Trail of Ten Falls. This 7.2-mile loop meanders through the forest passing by several sparkling waterfalls. Silverton is also home to The Oregon Garden, an 80-acre botanical park with more than 20 specialty gardens. Architecture and design fanatics will love visiting The Gordon House, which is the only building in the state of Oregon designed by the renowned Frank Lloyd Wright. You may even want to plan your trip around the Homer Davenport Community Festival, which celebrates the work of Homer Davenport, a renowned editorial cartoonist who was born and raised in Silverton. With a population just over 1,000, Joseph truly is a tiny town. Joseph has been nicknamed “Oregon’s Little Switzerland,” in part because of the town’s annual Alpenfest, which resembles an Oktoberfest celebration with even more yodeling and alphorn playing. 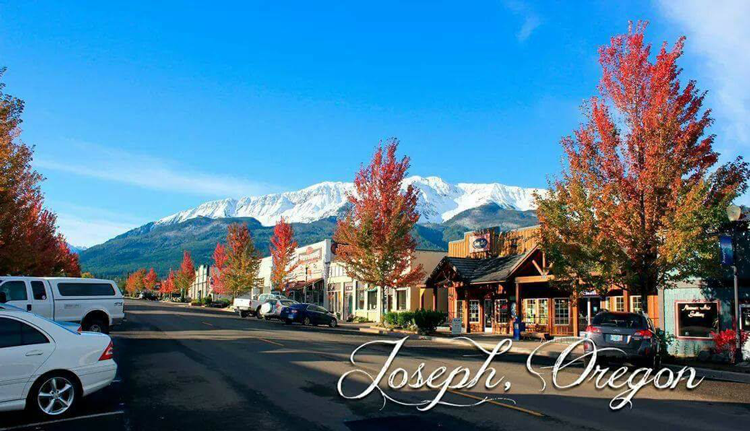 Joseph boasts some of the most stunning scenery, visible from nearly every vantage point, as the valley is surrounded by the Wallowa Mountains reaching elevations of over 8,000 feet. Explore the area’s natural surroundings with a hike in the mountains or by hopping on board the Wallowa Lake Tramway, which takes you to the top of Mount Howard, providing breathtaking views of the mountains, the valley, and the gorgeous blue waters of Wallowa Lake. Don’t miss (although they would be hard to miss!) 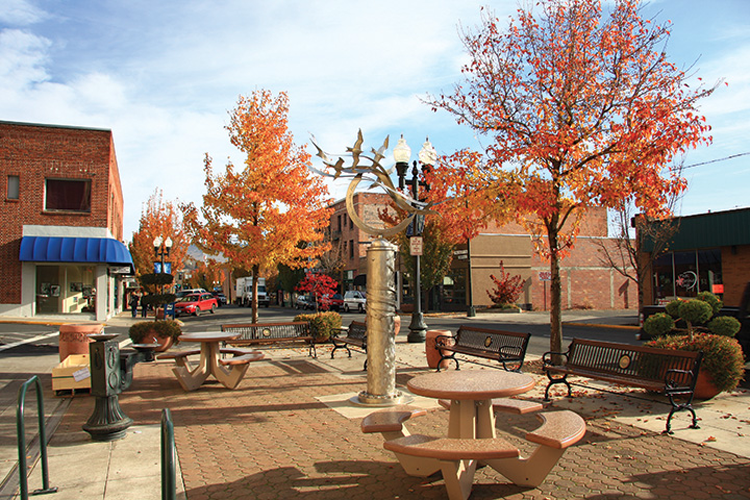 the many bronze sculptures scattered throughout the quaint downtown area. 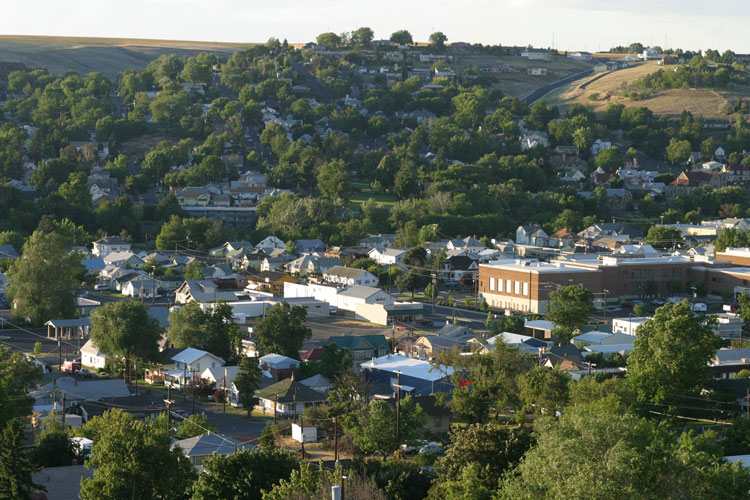 This peaceful town is situated along the historic Oregon Trail in the northeast corner of Oregon. Many bikers travel through Baker City on the annual Hells Canyon Motorcycle Rally. Others visit the town each summer for the Miners’ Jubilee, a celebration of the area’s mining history and the filming of Lee Marvin and Clint Eastwood’s film, Paint Your Wagon, which was filmed in the city in 1969. Learn more about the town’s fascinating history at the National Historic Oregon Trail Interpretive Center, situated just outside of Baker City. Or grab a local brew at Baker City Brewing Company and explore the many shops and restaurants in the quaint downtown. 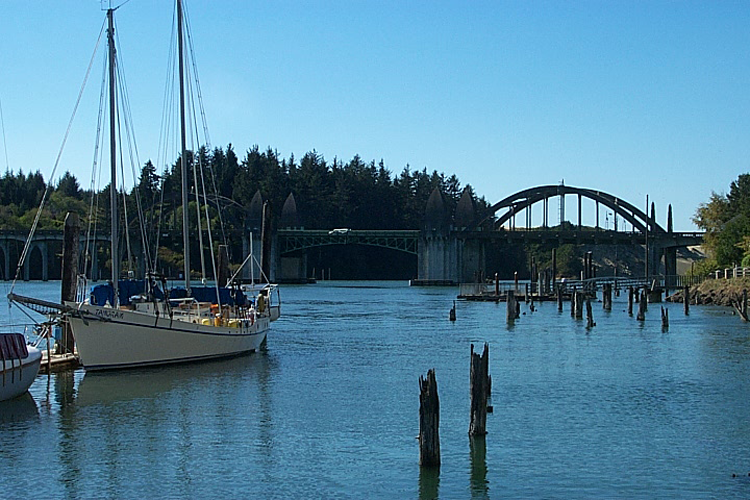 Situated at the mouth of the Siuslaw River on the coast, Florence is a lively town with some of the area’s most popular outdoor destinations. Visitors travel far and wide to explore the Sea Lion Caves, a privately owned wildlife preserve frequented by sea lions. You can also rent a dune buggy to adventure through the Oregon Dunes National Recreation Area, which features 40 miles of wind-sculpted sand dunes along the coast. Or simply admire the area’s stunning beauty with a visit to the Heceta Head Lighthouse, a 56-foot lighthouse built in 1894. Stroll through the vibrant Historic Old Town of Florence, nestled along the river, where you can pop in and out of art galleries, antique shops, restaurants, and charming boutiques. Much like its name, Cottage Grove is reminiscent of another era. 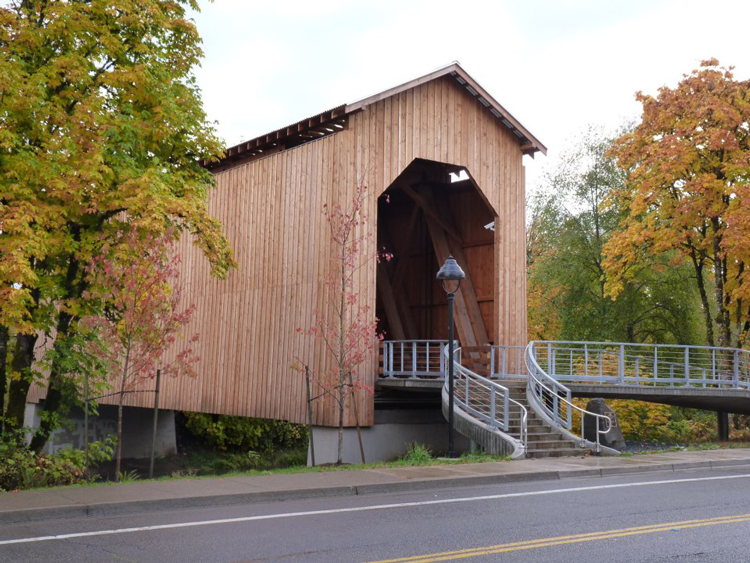 It is known as the “Covered Bridge Capital of the West,” as there are seven covered bridges throughout town. Considered the most famous out of the bridges, the Chambers Railroad Bridge is the only covered railroad bridge west of the Mississippi River. Admire the breathtaking hand-painted murals throughout Cottage Grove, learn about the area’s gold mining history at the Bohemia Gold Mining Museum or the Oregon Aviation Historical Society. 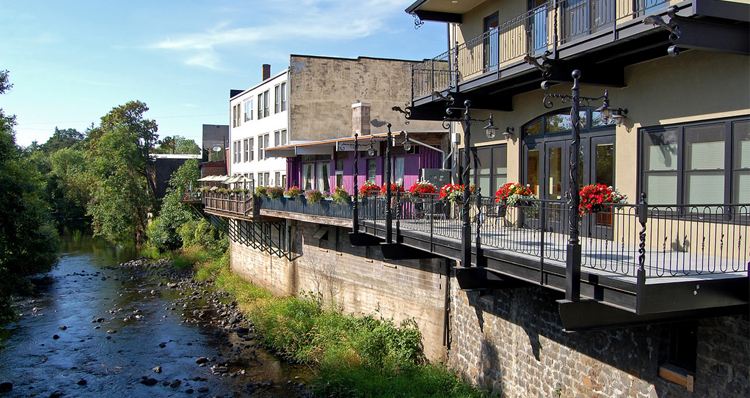 Wherever you go in Cottage Grove, you will be immersed in history and small-town charm! If you live in Bend, you won’t have to travel very far to visit this iconic small town in Oregon. Identified by the beautiful Three Sisters mountains, Sisters is a vibrant community with a nostalgic downtown area. Boutiques and specialty stores offer a variety of merchandise ranging from fine art and antiques to western wear and souvenirs. The exceptional Black Butte Ranch resort is a favorite Oregon destination. Awarded four stars by Golf Digest, the resort’s Big Meadow course challenges player’s skills and accuracy against a backdrop of stunning mountain views. Other year-round resort activities include tennis, biking, swimming and horseback riding. The nearby Deschutes National Forest accommodates hikers and backpackers with miles of winding trails and scenic vistas. If you particularly enjoy your visit to Sisters, you may just want to make it your home! Let us know if we may help you find a home in Sisters. Nestled along the southern shore of Upper Klamath Lake, Klamath Falls is an oasis for outdoor enthusiasts. This town with a population just over 20,000 offers plenty of opportunities for outdoor recreation, including golfing, canoeing, hiking, and more. The beautiful Klamath River runs through Klamath, which has a charming historic downtown hosting shops, eateries, and other small businesses. Visitors and locals alike enjoy hiking along the OC&E Woods Line State Trail or along the Link River, taking in the area’s gorgeous scenery all the while. Plus, Crater Lake is not far from Klamath Falls, making this an ideal place to rest before or after your trip to view this world-famous lake! 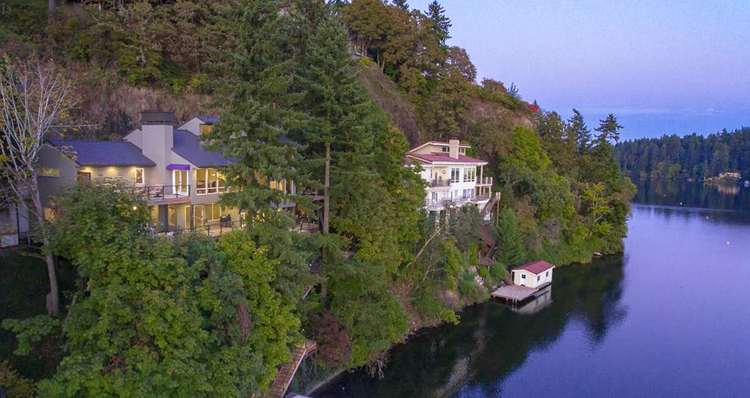 Where the Hood River flows into the Columbia, you’ll find the beautiful town of Hood River. It is named the “Windsurfing Capital of the World,” which will make sense as soon as you approach this small town, especially if you visit during the summer. You’ll see a number of kiteboarders skidding along the surface of the Columbia River while hikers head to the majestic Mount Hood towering in the distance. Hood River has a concentrated collection of wineries, breweries, and restaurants in the northeast portion of town. This is the perfect one-stop-shop for sampling regional beers and wines and grabbing a bite to eat during your visit to Hood River! Founded in 1811, this quaint fishing village is the oldest settlement west of the Rockies. Astoria is filled to the brim with history, scenic views, Victorian-era homes, adorable local shops, and much more. Explore the Columbia River by kayak, learn about area history at the Columbia River Maritime Museum or the Lewis and Clark National Historical Park, sit down for a delicious seafood meal, or take a hike up to Youngs River Falls, offering some of the best views in the area. 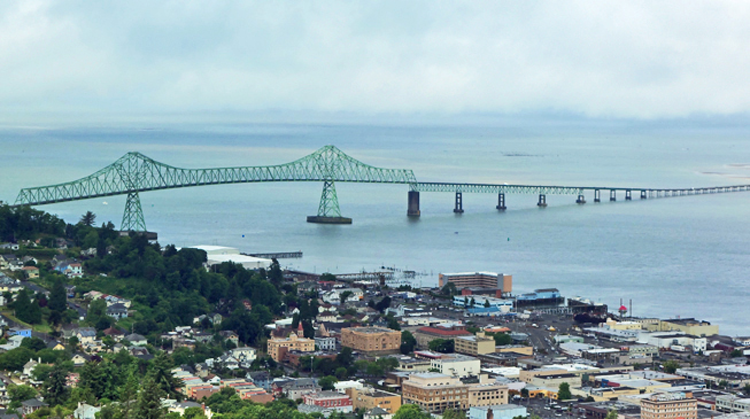 Don’t miss the iconic Astoria Column, a 125-foot tower resting above town on Coxcomb Hill. 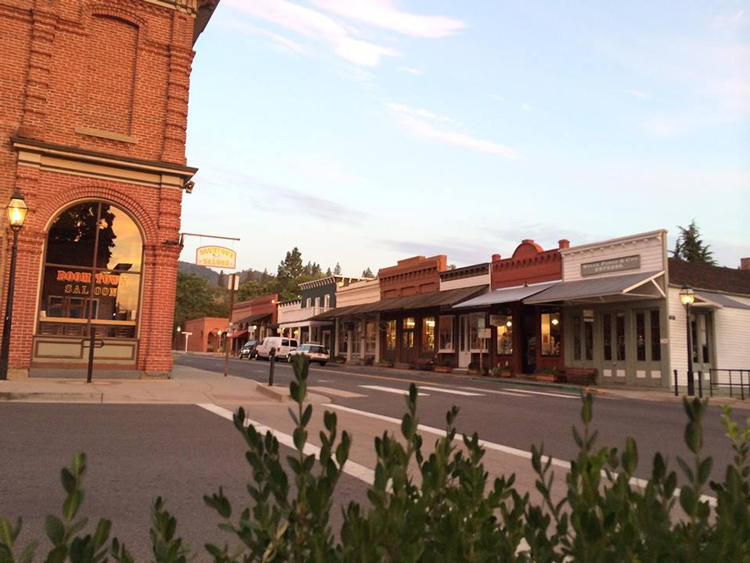 Situated in southern Oregon just outside of Medford, Jacksonville is a small town with roots in the Gold Rush era. The town was named after Jackson Creek, which winds through town and was the site of one of the first placer gold claims in the region. Visitors may explore Jacksonville’s neighborhoods lined with beautiful Victorian-era homes, take a stroll through the historic downtown, or hike along the nearby Woodland Trails. Britt Fest is a summer-long outdoor concert series in Jacksonville, attracting renowned bands and musicians, and lots of visitors to enjoy their music. The town is also an excellent destination for wine connoisseurs, as Jacksonville is situated at the entrance of the Applegate Valley Wine Country! Wine lovers, rejoice! This tiny town (and we mean tiny) has more wine tasting rooms per capita than anywhere else in the country. That’s right — there are over 20 tasting rooms lining the three blocks of Carlton, making it an ideal one-stop-shop for sampling some of the region’s best wines. Anne Amie Vineyards is a wonderful place to enjoy the sunshine while you rest in hammocks and enjoy plenty of outdoor seating during the summer. You can even stay at Abbey Road Farm in their Silo Suites, three converted grain silos nestled in this working 82-acre farm just east of Carlton. Newport is a must-visit for anyone making the legendary trek up or down the 101. In fact, you can’t miss it — as Highway 101 runs right through town. This charming coastal town has plenty for marine enthusiasts to do and see — from the Hatfield Marine Science Center to the Oregon Coast Aquarium. Plus, you can take in uninterrupted ocean views from just about anywhere along the coast in Newport. You can also sample some of the state’s best seafood here, particularly at Local Ocean Seafoods. Taking a hike along the Yaquina Bay Lighthouse Trailhead is the perfect way to take in bay views while breathing in fresh ocean air. 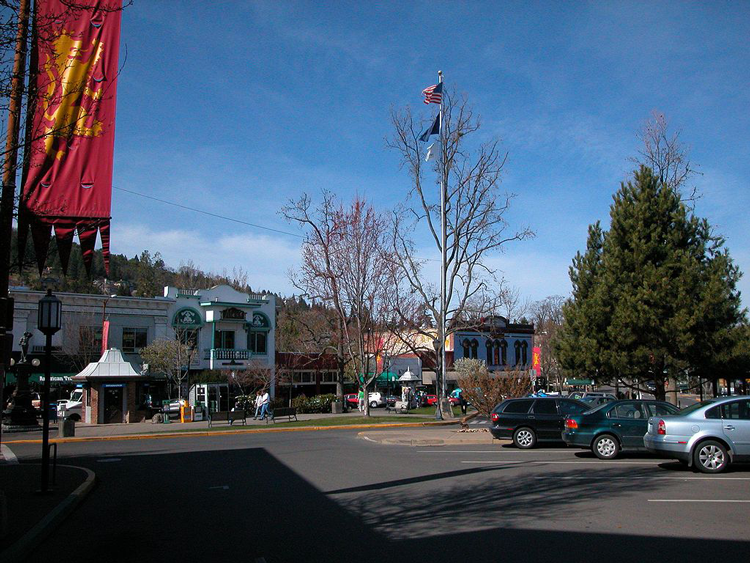 What tiny towns in Oregon do you admire most? We would love to know your go-to destinations. Let us know in the comments below!